A delicious scented candle with elements of fig, cedar, jasmine and citrus is the Fragrance Candle Dôme Ibiza. 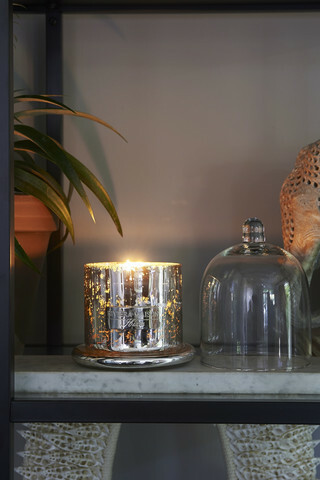 The candle sits in a holder with the accompanying glass dome, which makes the candle both burning and closed under the dome to a decorative element. This fresh-sweet scented candle brings a fine atmosphere into your home. Scent: fig, cedar, jasmine and citrus.